All Posts Tagged With: "Makeup Bag"
If ten minutes is your primping limit, then I’ve got a makeup bag for you. 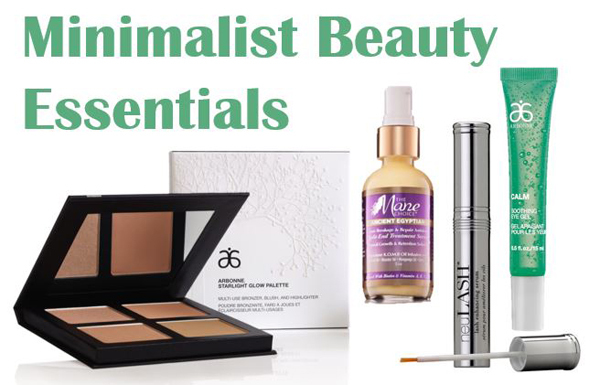 See below for four easy to use, carry and apply beauty and skincare products infused with effective and powerful ingredients that provide an easy and very low-stakes way to dabble in minimalism. Smashbox 24 Hour Photo Finish Shadow Primer is the best ‘invention’ ever and a must have in your makeup bag. This shadow primer intensifies your eye shadows and eye liner and makes it last all the long. Don’t leave the house without it! Use it with Smashbox Full Exposure Palette it works well together. 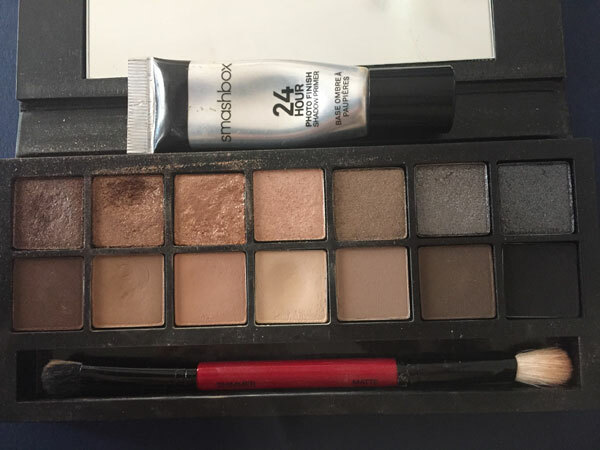 When I first got the Smashbox eye shadow palette I used it without the primer and the eye shadows felt sheer and didn’t ‘stick’ to eye lid. Once I used the Smashbox shadow primer the eye shadows intensified and made it look and feel pigmented. Pretty amazing. Spring is officially here! It’s exciting to finally see more sunshine, and to, of course, look good. 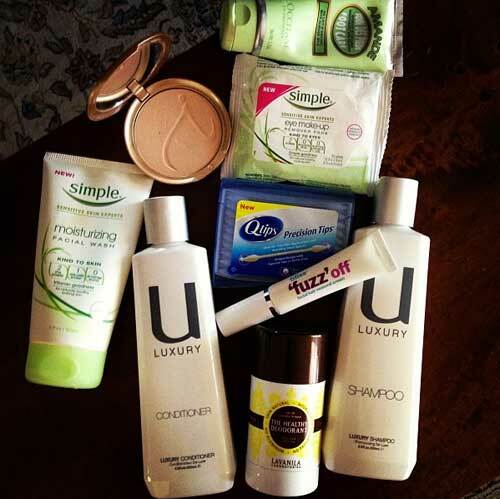 So here is a sample of what’s in my beauty bag to help me feel good. For my skin, and especially the skin on my face, I love Simple Skincare products. I don’t believe you need to use fancy or expensive skincare products to keep your skin in shape and looking amazing. I like to wash my face with Simple Moisturizing Facial Wash in the shower or to help remove makeup and dirt. It feels very creamy, yet light, refreshing and super gentle to my skin. I also love the Simple Eye Make-Up Remover Pads. This one is a must-have. Just wipe and go. I seriously can’t function without these. Both products are fragrance free, which is a god sent, ha. Don’t like perfumes on my skin. For my hair I’ve discovered U Luxury, aka United Luxury Shampoo & Conditioner – a UK brand. It smells light and very moisturizing without weighing my hair down. Lancôme teamed up with CFDA award-winning designer Sophie Theallet for an exclusive gift with purchase at Saks Fifth Avenue. The French-born, Brooklyn-based designer, who is known for her feminine-with-ease designs and superior craftsmanship, created the ultimate makeup bag for all beauty lovers. In Marta Walsh’s makeup bag. 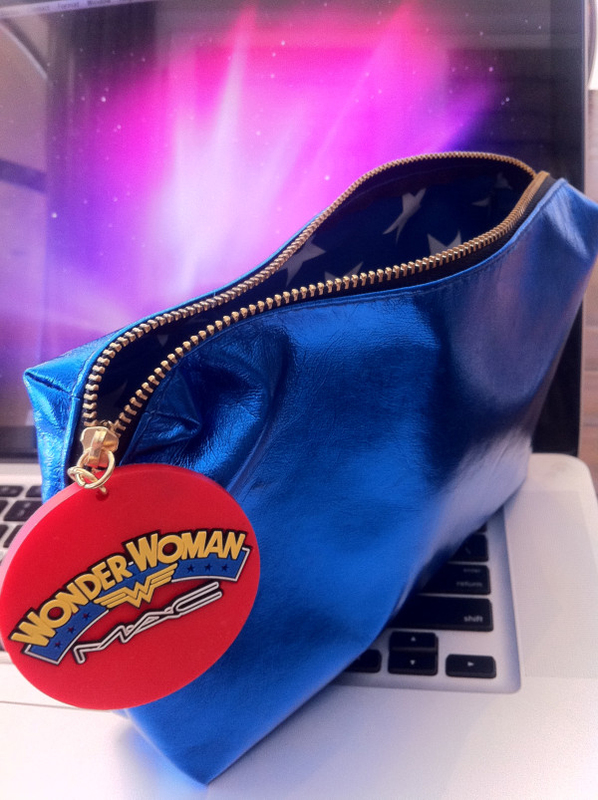 How cool is the MAC Wonder Woman makeup bag?!! Ha:) Inside & out. NEW Hot Makeup: Lipgloss. MAC Viva Glam Lipglass in Viva Glam Gaga and Cyndi. Makeup Bag: What’s hot! 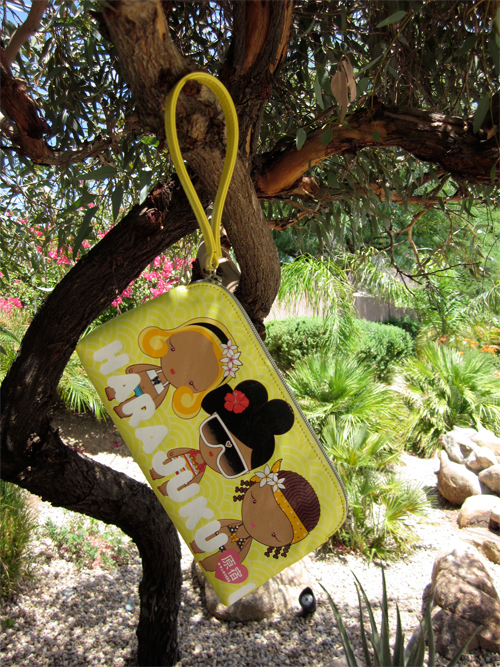 These Harajuku Lovers makeup bags!! Harajuku Lovers Sunshine Cuties Solid Clutch and Harajuku Lovers Makeup Girls Clear Clutch. 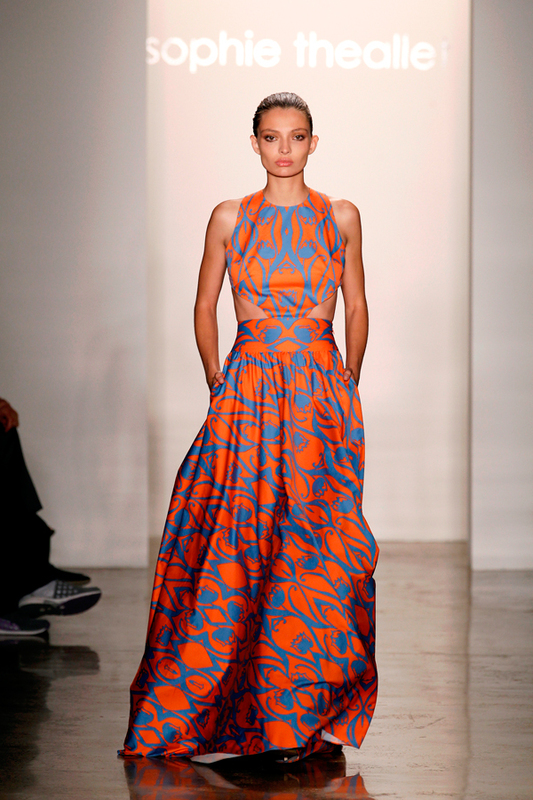 Marta Walsh LOVE. In Marta Walsh makeup bag: MAC Pro Longwear Lustre Lipcolour in Sappho (left side) and Mirror (right side). I apply Mirror the white shimmery side on top of Sappho or any other lip gloss and it makes my lip gloss LASTS a lot longer if I wouldn’t! Love love love.